These are both from Winged Baby's Wings (which are the kids he takes care of). 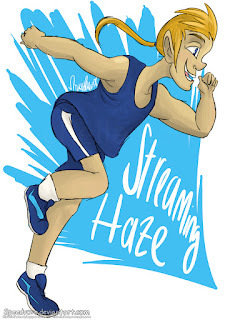 Streaming is the fastest member of his hometown track team. He is very well-known for his speed and can outrun almost anyone. He has never been beaten in a race and often boasts about this. He goes out running at least four times every single day so that he can continue to practice. He undergoes intensive weight training by Winged Baby since it encourages him to push his limits and improve even farther. Ilsa is a talented tennis player who longs to deal her revenge against those in Compass World for kidnapping her uncle. 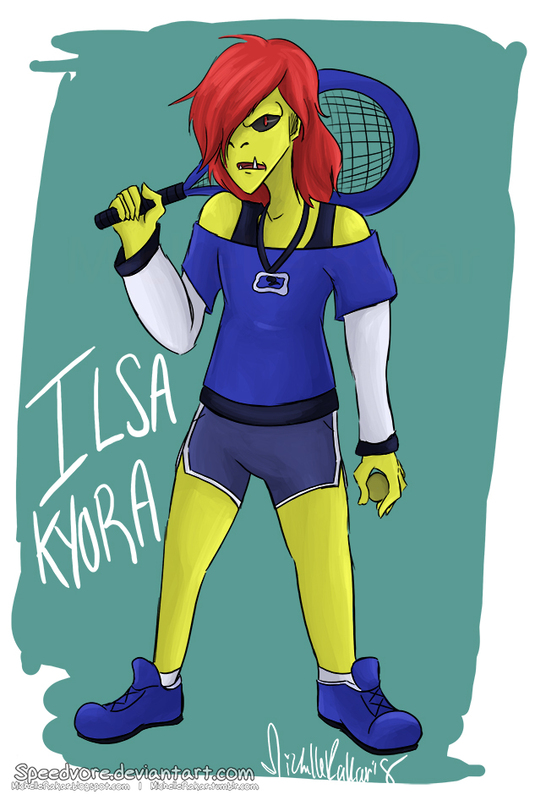 She's very confident and will do anything she can to achieve her goals, including killing Nays. She's one of Winged Baby's newest Wings who has to prove herself in order to join his group. He tricks her into thinking that he can help her find Compass World, so she joins his Wings.